The wonderfully named Chaos visited us today, having been re-homed a few years ago. 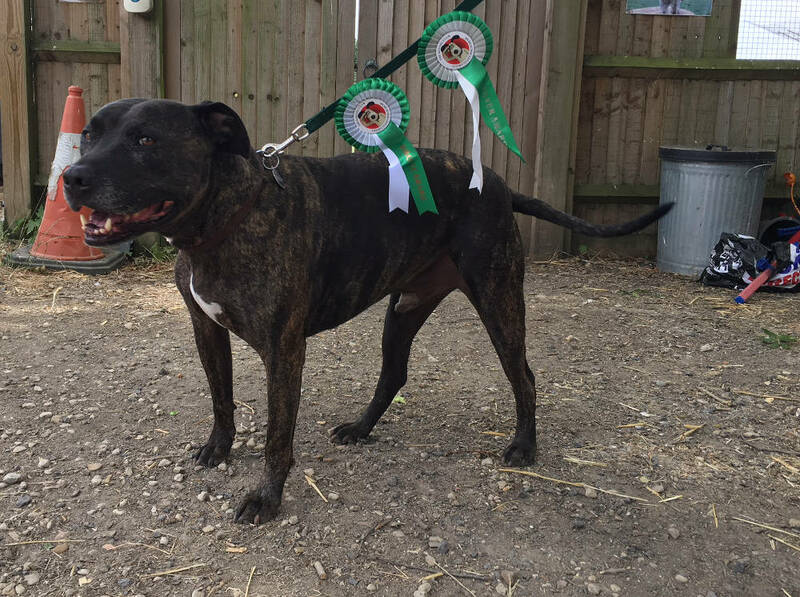 He’d just won another award for his exceptional behaviour and skills, and his owners brought him in because he was desperate to show off his rosettes! He has been in the very capable hands of his brilliant owners for a few years now, after being at OAS for several years. It’s thanks to them and their trainer that he is in the best shape of his life. Hats off to them for all their effort. It just goes to show that dogs who have been in rescue centres for a long time can be amazing, with a little time, patience and dedication.